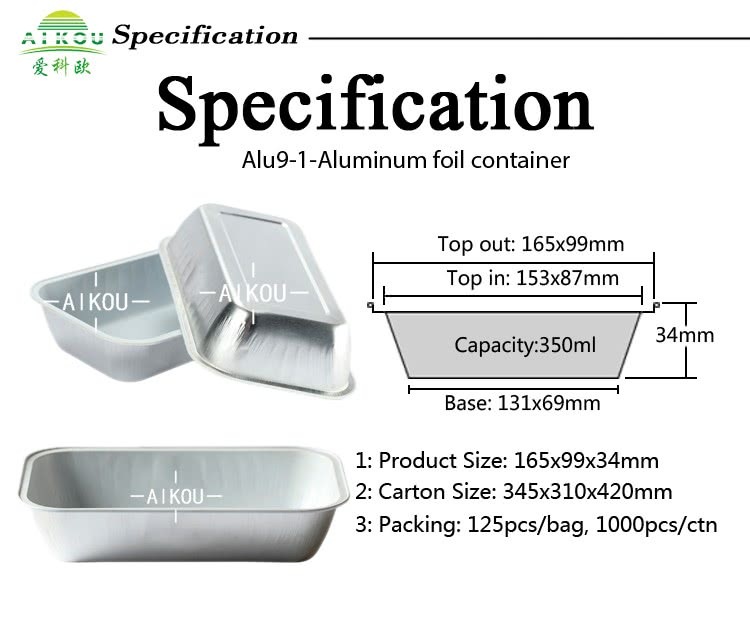 Are you sourcing the aluminum foil airline container for your Airline Company, for wholesale or for your restaurant catering? 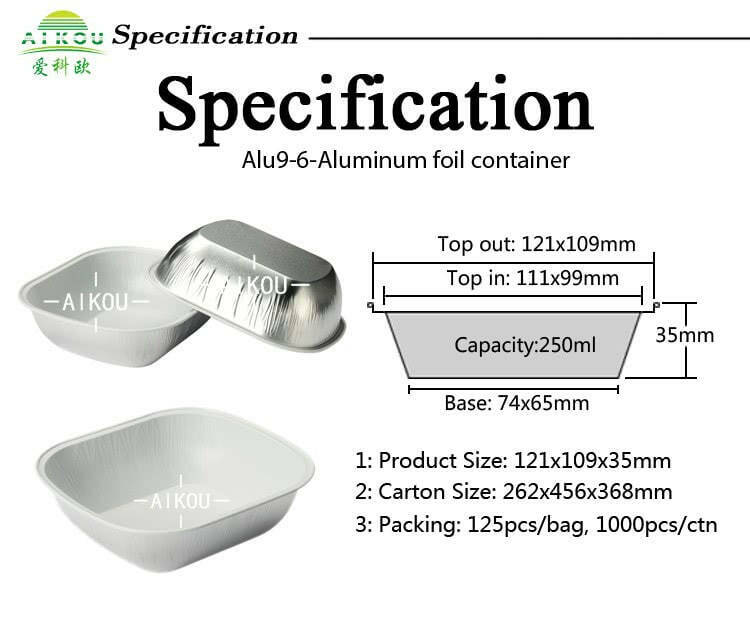 We are glad to recommend our high quality fashion aluminum foil airline casserole to you. We have various styles of airline container at present. Our shape of airline containers is also various. Like rectangular, square and round. 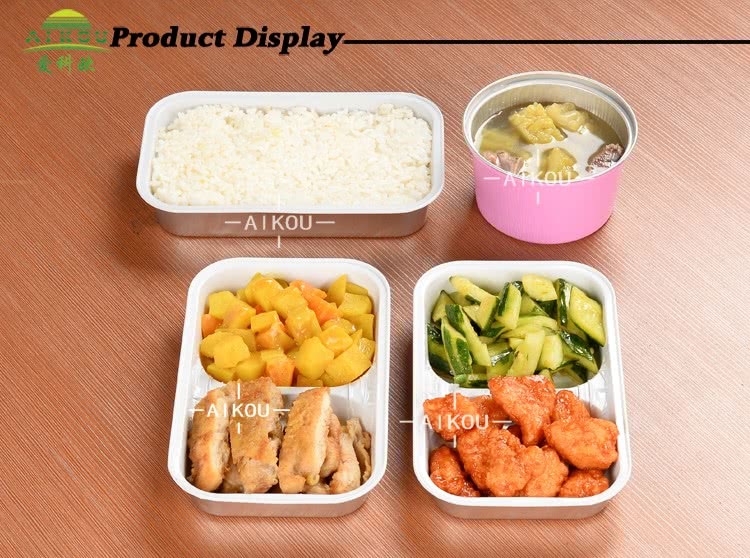 Generally, airline food container capacity is from 100ml to 380ml. Below are part of our hot selling styles for your reference. 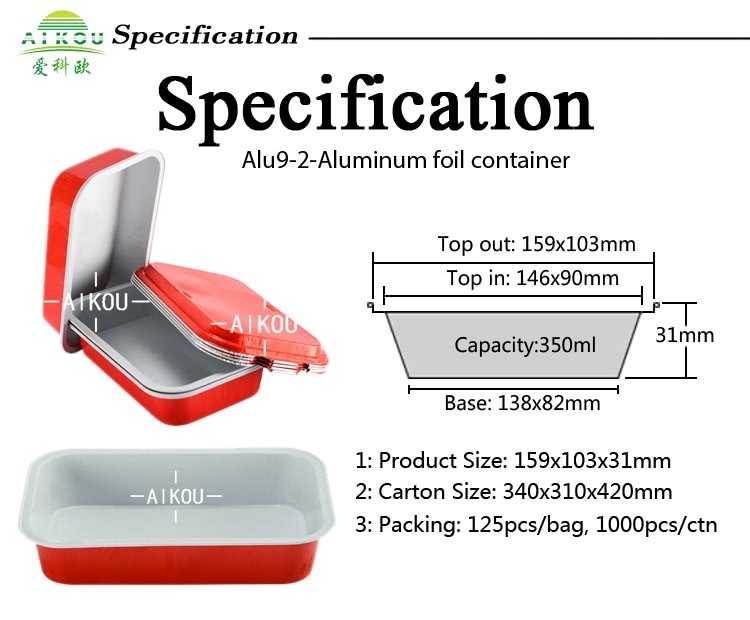 Generally, airline container is match aluminum foil lid. 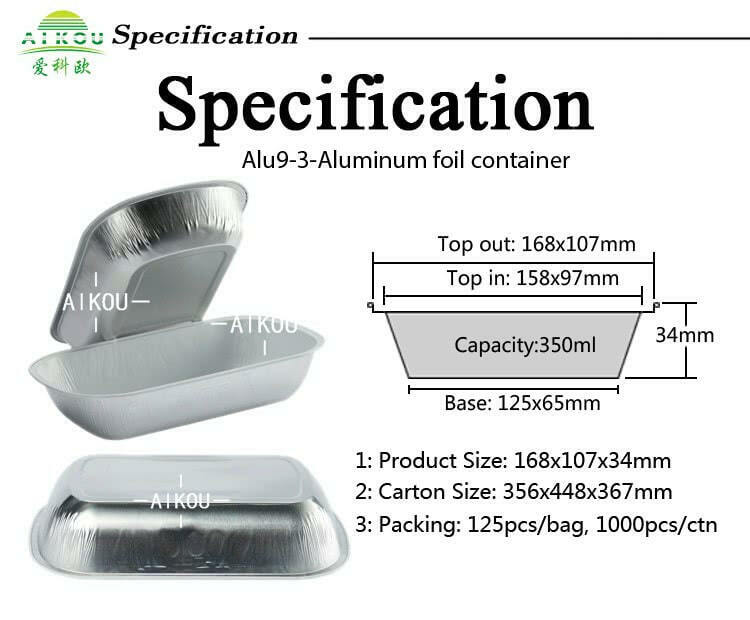 We could produce the aluminum foil lid with air vents or without air vents. it is better for you to select the lid without air vents. If you would like to avoid the water vapor of the lid, you could consider the lid with two air vents. We could print your embossed logo on the container bottom or on the lid. 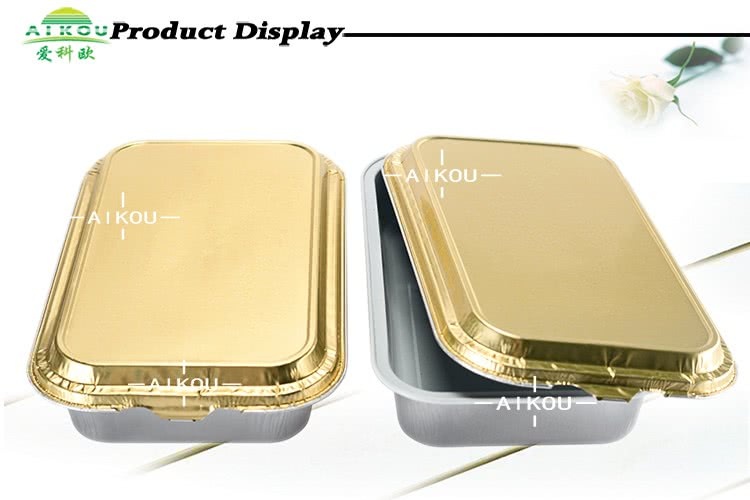 Besides, if you prefer colorful printing logo on the lid, it is also workable for us. both sides silver/ inside white outside silver/ inside silver outside white. We could also produce other different colors for you, like gold, blue and red etc. 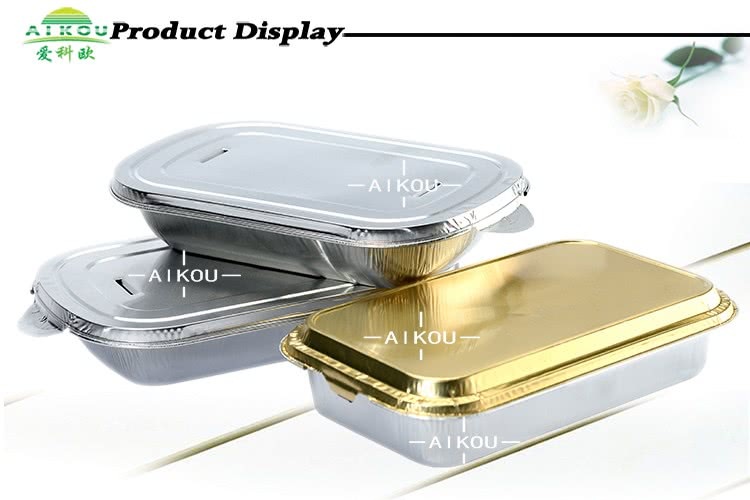 Our airline containers are microwave and oven safe. Even our airline casserole will not have any smell and color fading during high temperature heating. And they are rigid enough for heat insulation and not easy to be out of shape. 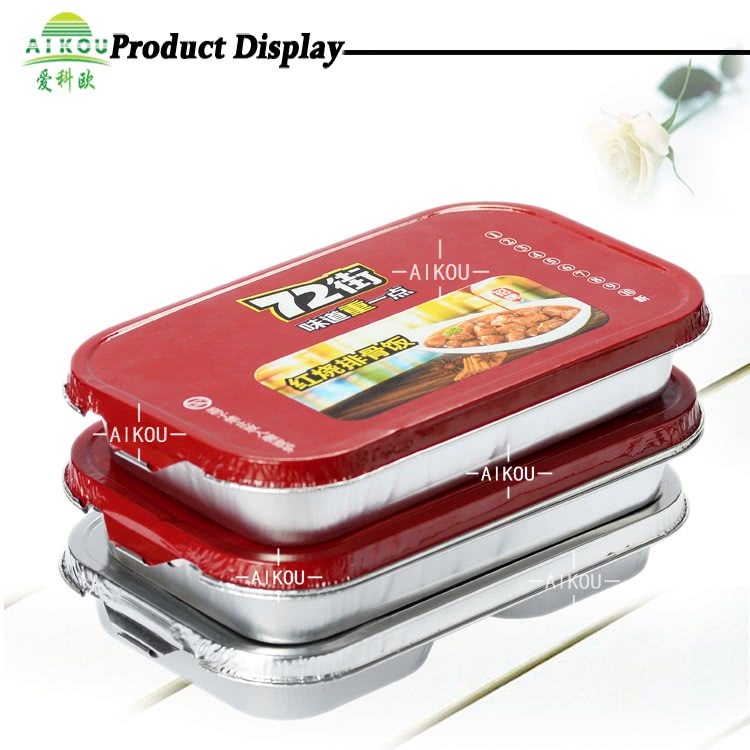 Do you have interest in our airline food tray? Welcome to click our company website or contact us directly.